Wedding parties provide their own officiate, photographer, videographer and music. 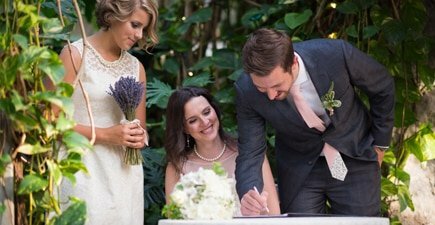 Receive 25% off a ceremony with the purchase of a reception. Weekday discounts available. 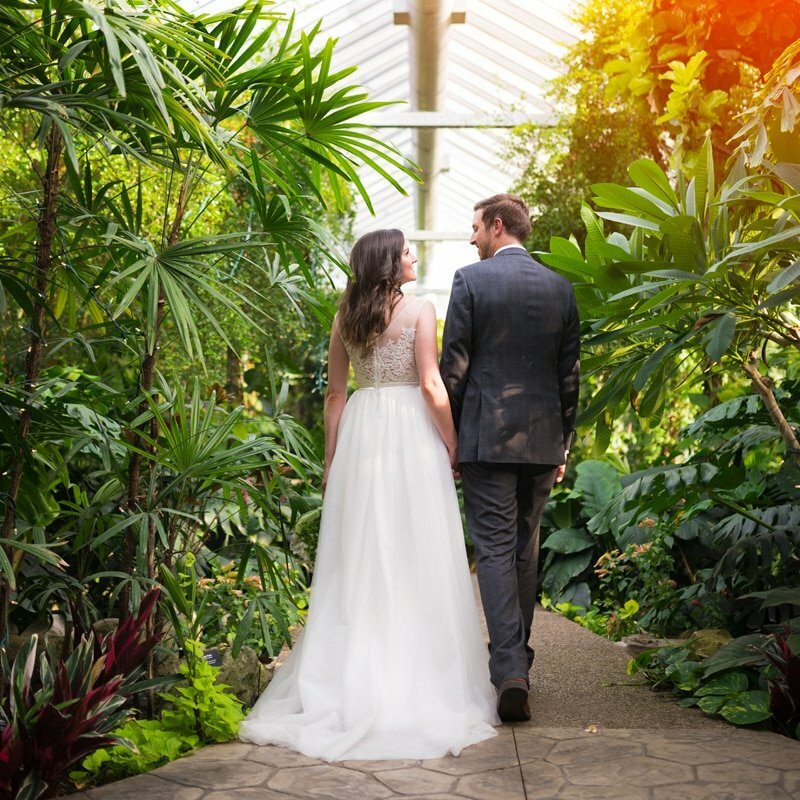 Enjoy a lush natural backdrop for your photos and best of all you never have to worry about inclement weather. 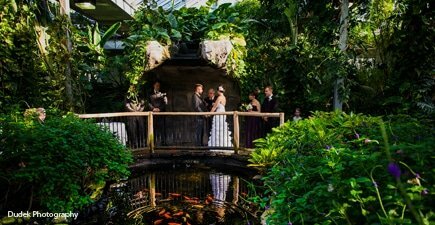 Exclusive use of the conservatory is included in all ceremony and reception packages. Enjoy exclusive use of the entire facility for receptions for up to 140 guests (seated). 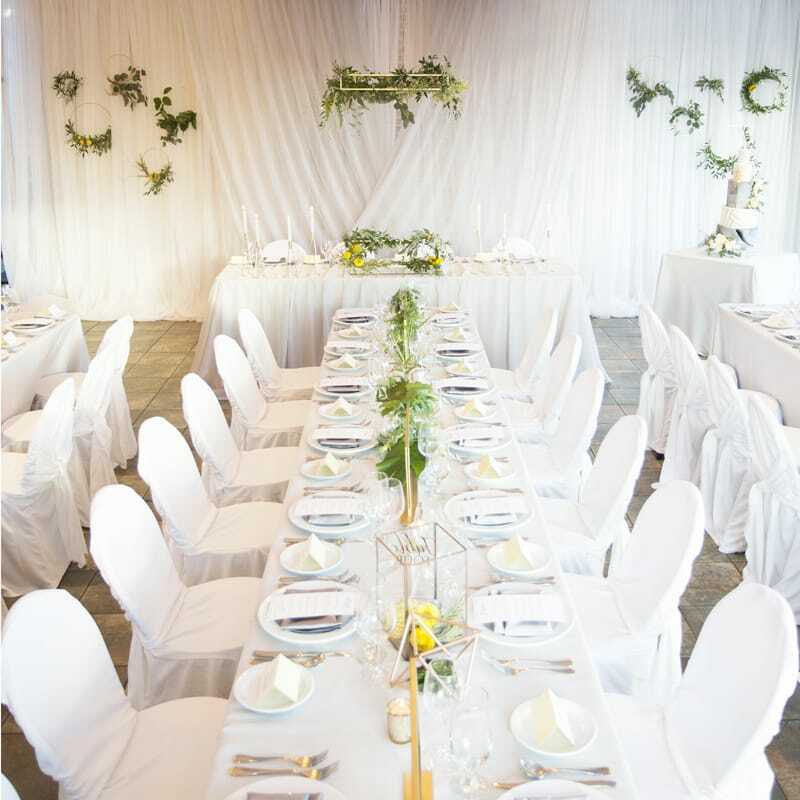 Our wedding coordinator will provide consultation and will help you select the perfect reception package. 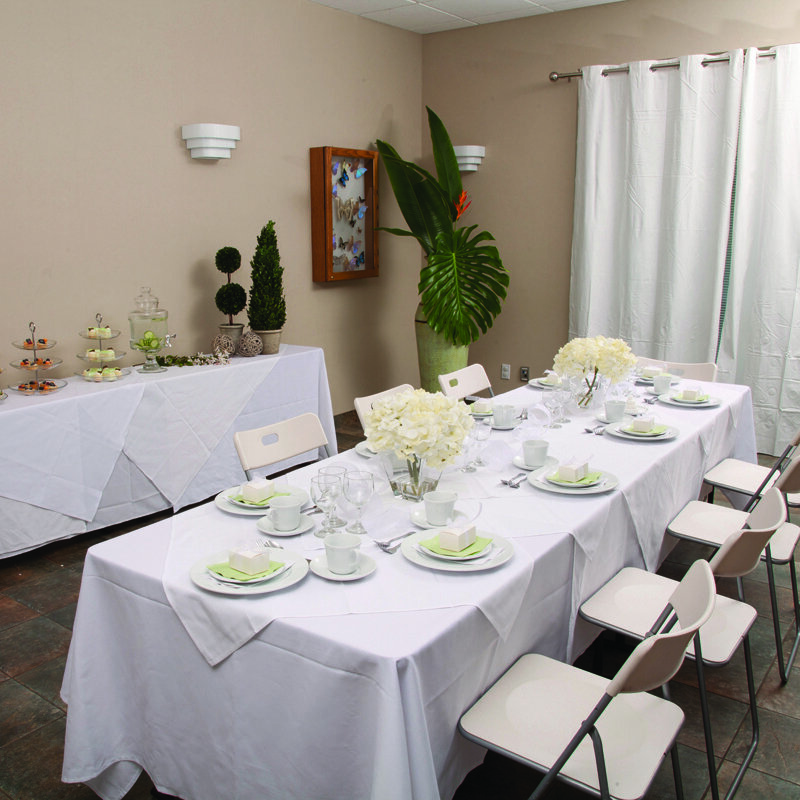 Shower the bride-to-be in an elegant private room with catered options like English style tea service.Later you can explore the beautiful tropical setting of the Butterfly Conservatory.